TIME Magazine Covers for September 16, 2013. 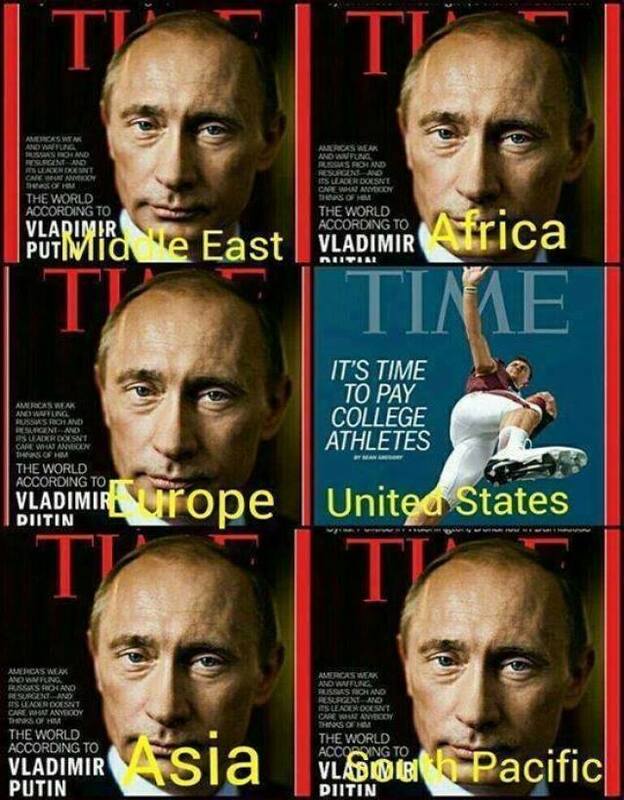 Notice how Putin’s huge head covers the word TIME, however, here in America, there is nothing but TIME as is implied by the word TIME being unobscured. Also note that the colors Black & Red have occult significance, which in a drastic contrast to the occult significance of the color Blue. Typically, they use the Red color for the word time, but since Americans were being programmed to distraction and entertainment, even the word “TIME” is in blue. Media = Programming & Mind Control. Welcome to the Brave New World of 1984!